Equations can be problematic when converting MS Word docs to Google Docs. Using the steps below, after you convert your document, the equation will be displayed as an image and not editable from within Google Docs, but it is better than having to recreate the entire document from scratch. 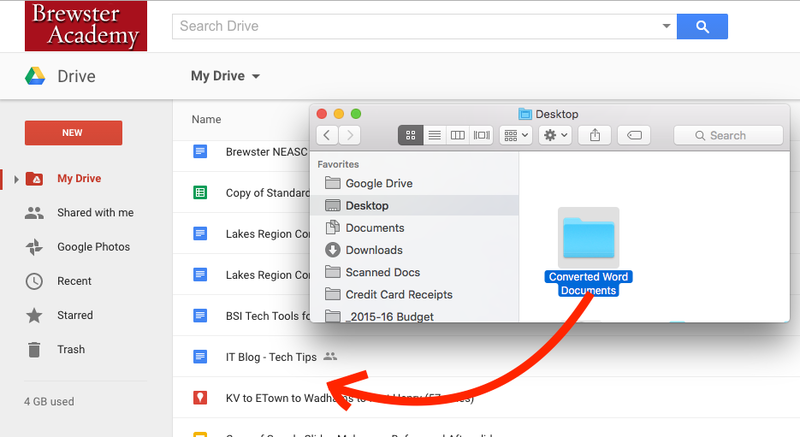 Create a new empty folder where you will be saving your converted documents (it may be easiest to save this new folder to your desktop). 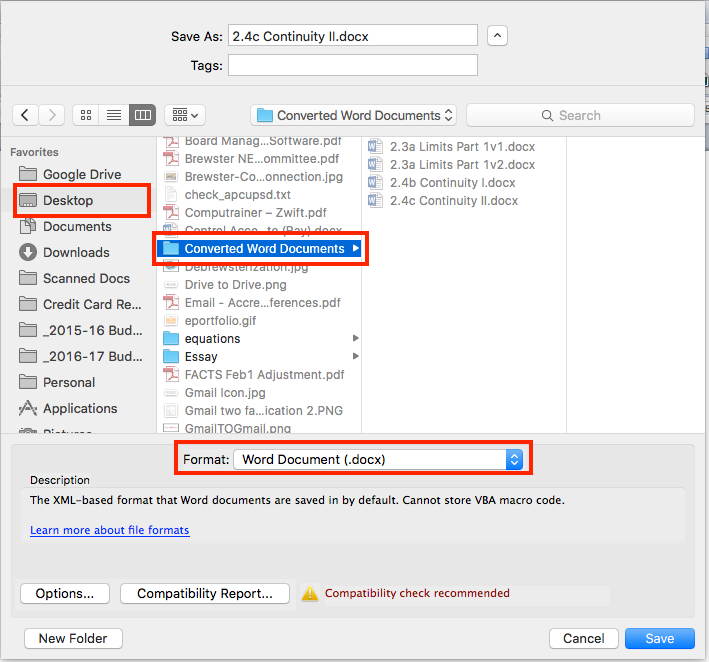 Open up the document in 2011 Word (Version 14.2.3). If you don’t have access to this version, check with the Tech Office for assistance. In the window that appears, from the drop-down Format menu, change the selection from .doc to .docx and make sure you are saving to your new folder on the desktop. Once all of the documents have been converted and saved in your new folder, open up your Google Drive, and go into settings. Finally, drag the folder of converted files from your desktop into Google Drive. Within Google Drive, you will notice a progress window as your documents are uploaded and converted. Some equations in your converted documents may be slightly cut off toward the bottom. In this case, on the Google Drive document that you are editing, select Insert-> Equation. From there you will be able to recreate the equation, and it will also now be editable! What about the opposite. Converting a Google Doc into Word document with equations transferring over correctly (even if as image)?